The finest craftsmanship available anywhere in the world. Relyon beds are traditional, European handcrafted mattresses and divans. Each model offers unparalleled luxury and a truly rejuvenating night’s sleep. 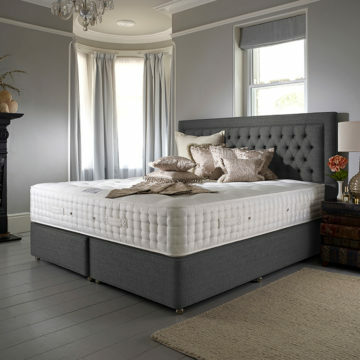 We import directly from Relyon, eliminating a layer of cost and allowing us to offer these remarkable mattresses at surprisingly reasonable prices. All Relyon mattresses are outer tufted and can be used with its matching divan, solo on a platform bed or with one of our custom made upholstered boxsprings or bedsteads.